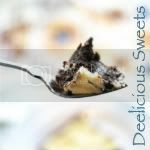 Deelicious Sweets: Deessert Blog Hop! Wow! Last week's blog hop was a hit! 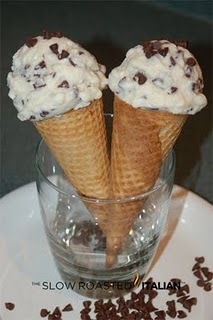 Thank you all so much for playing along and linking up so many of your delicious sweets! Now, you're asking yourself "Self, I wonder who got the most clicks?" Well, I can tell you that! Here are the top 5......drum roll please! Link up a dessert recipe for sharing (or two or even three!) so we can all drool over them and try them out. Follow the directions below. I'm looking forward to seeing what you come up with! 3. Vote for your favorite by clicking 'Like'. I think I got it working this week! 4. Come back next week to find out who got in the top 5! 5. Have fun and just try and refrain from licking your monitor! 6. Feel free to grab my button and post it on the post you linked. That's it! The party will be over next Tuesday, August 16th. at 11:59 pm. Just link up now! Those desserts look awesome! Can't wait to check some of them out. 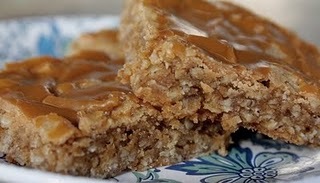 The oatmeal butterscotch bars look especially good. Have a great day Dee! How fun! I've linked my strawberry granola bars :) Heading over to check the others out, thanks for hosting this again Dee! This is fun! Last time I made notes of several things to try soon. Thanks for hosting! What a fun idea, these all look so fantastic! what an honor to be top 5 in the deesert bloghop! thanks everyone! All of the recipes are simply amazing and great ones for sure. OH everything looks so good, so dreamy, so yummy!!! Ohhh you are doing it again! I'll see if I can come up with something... I've been a bit busy but we'll try my best. Congrats on the top5 yummy desserts! How fun this event is! You are a perfect person to host this, Dee! Is there a limit on how many I can post? I've been a baking machine this week. Rofl! There must be an advantage to posting first in this game. ;) Great idea none the less. Those blackberry crumb cakes are calling my name... and those quinoa cookies have piqued my curiosity. I can feel my waistline going up a dress size. Everything looks so sweet and delicious! Those desserts looks awesome! I would want to try and check some of them out. Congratulations to the participants!